As audiovisual production guru, Omololu Durojaiye, attained his golden jubilee on Sunday, some of his closest friends came together to surprise him with an evening of merriment and laughter. 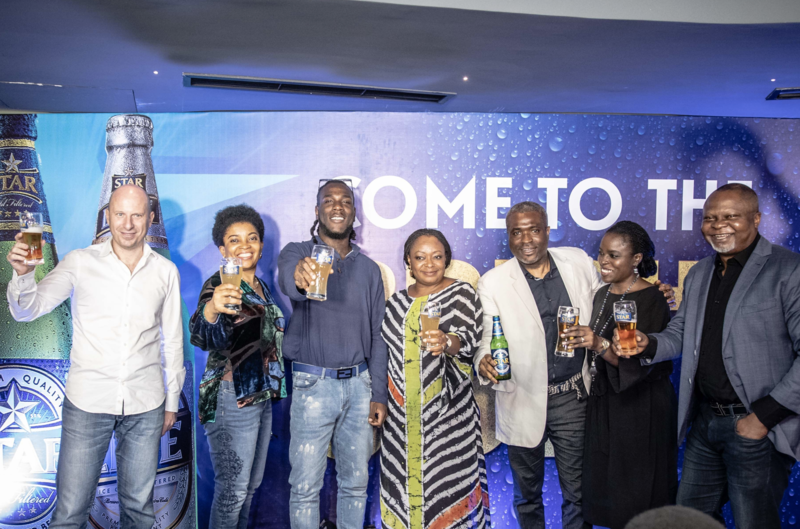 Present at the event were; Ace media broadcaster, Soni Irabor; Showbiz promoter, Edi Lawani; DJ Jimmy Jatt, Blackky and a host of family members. The event held at The Patio in Lekki and it was indeed an amazing night as friends and family members poured a lot of encomiums on the celebrant. Other guests present include, Henry Ekechukwu of Huce Valeris, Kelvin Orifa of Emblue, Kayode Olowu Of One wildcard, Femi Falodun, Jide taiwo, Chris Ihidero and many others. Lolu Durojaiye is the CEO of AVEdge Limited, a cutting edge audiovisual service company setup to service the events & experiential industry. AVEdge Limited was established in 2003. As an audio visual expert, he is known to have served as a technical director to various events like Emmanuel Macron’s visit to Nigeria, Mark Zuckerberg’s visit to Lagos, the commissioning of the Eko Atlantic city by President Clinton, Nigeria’s premier entertainment conference, Neclive, to name a few, as well as product launches and engagement with premium brands like Coca Cola, NB plc, Globacom, MTN, Airtel and Guinness.